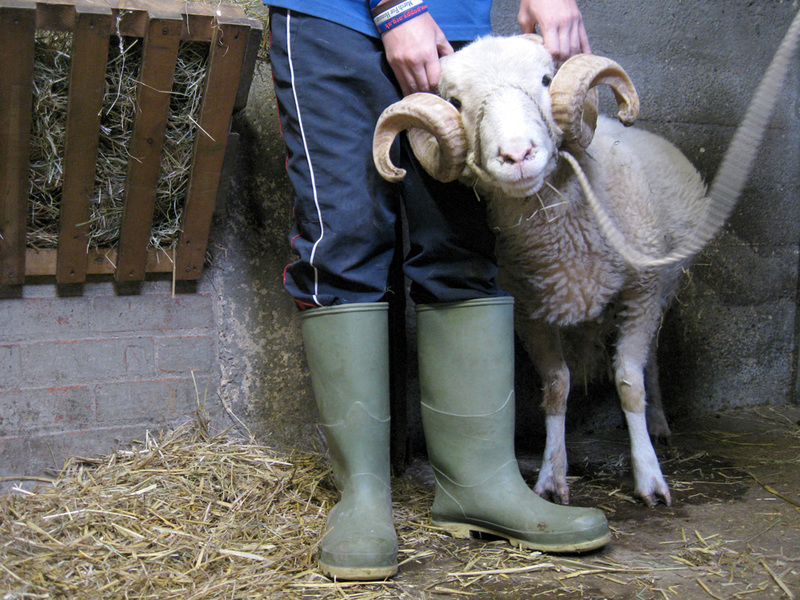 When we think of rams, the iconic image is of those powerful, spiralling Aries horns. Many (but not all) sheep breeds have horns. At Mudchute, we currently have 3 sheep breeds including a range of horn types. 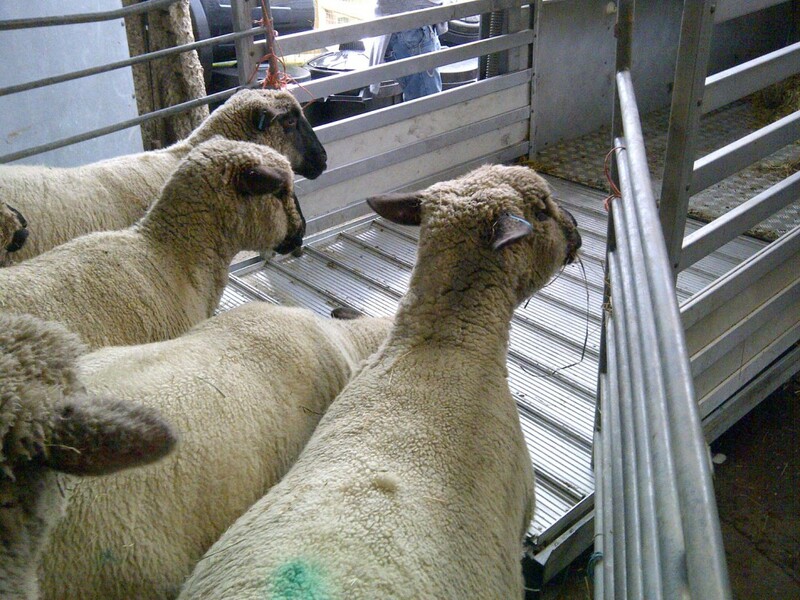 Neither males nor females of our Oxford Down sheep have horns and such hornless sheep are described as polled. Both our male and female Whitefaced Woodlands have horns and our Jacob sheep are polycerate (many-horned). Unlike antlers (which are made of bone), horns are composed of a bony core covered with a sheath of keratin (much like hooves and our fingernails). Horns are not shed and continue to grow through an animal’s life, though they grow most rapidly in the first few years. Unfortunately, horns don’t always grow properly and today two of our Whitefaced Woodland rams (Billy and Hellboy) had to have their horns cut as they were starting to grow too close into their cheeks. While their full sets of horns do look lovely, they simply had to come off before they became a welfare issue.